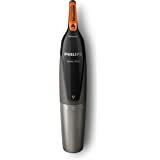 Less mess vacuum trimmer with integrated vacuum captures up to 90% cut hair. Philips offers the right trimming solutions for all your needs. Philips delivers the optimal trimming experience combining the technology with design that allows you to create the look you want for any occasion. 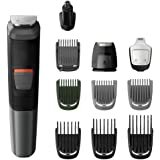 Philips Beard Trimmer Series 7000 is designed for a cleaner trimming experience . 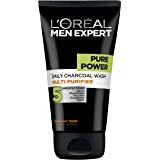 It gives you a perfect even trim with less mess , so you can feel confident everyday. The Integrated vacuum system comes with a powerful suction technology that catches cut hair as you trim, allowing you to enjoy the look and not worry about the mess that comes with it. 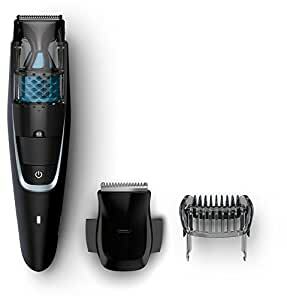 The Innovative lift & trim system guides the hair to the level of the blades for an effortless even trim – so you don’t end up going over and over the same spot to get that perfect beard style. 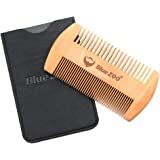 The double sharpened stainless steel blades cut through even thick hair with ease. 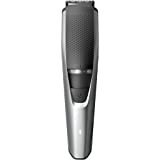 The precision detail trimmer allows you to finish up your style or create perfect edges even in hard to reach areas. 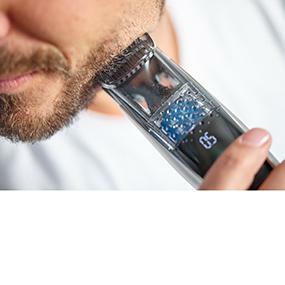 Charge your beard trimmer for 1 hour to get 60 minutes of cordless use. If you need more energy while trimming, you can simply plug the trimmer into the wall. 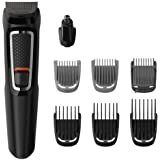 This trimmer has been designed to run both cordless and corded. Diamond Whiskey Glasses Luxury Gift Box Set of 4. Lead Free Modern Crystal. Perfect Gift of Whisky Tumblers Glass as a Birthday present, Fathers and Mothers day, Christmas present. 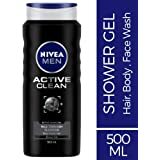 Money back satisfaction guarantee.